1965 Mercury Colony Park - Station Wagon with less than 20,000 miles! The 1965 Mercury Colony Park sat in the medium-class Montclair line-up. It was a bit more expensive than the other Montclair cars. In fact, the price took it right into Park Lane territory – Mercury’s top-of-the-line cars. 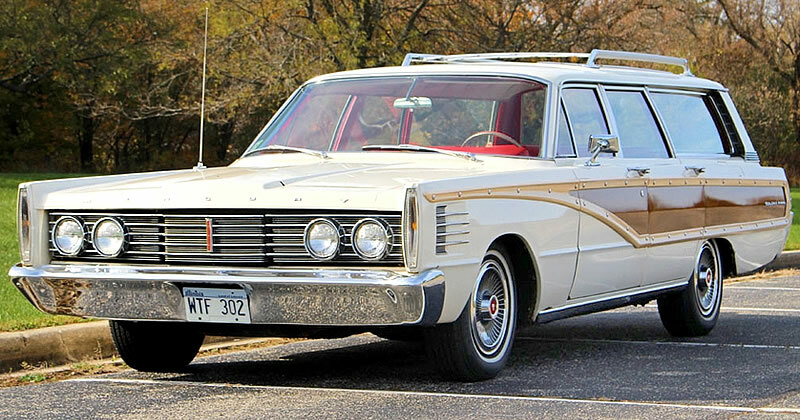 The Colony Park was instantly recognisable over the Commuter (the cheaper Monterey station wagon) because of the exterior simulated wood grain. This particular car was found with less that 20,000 miles on the odometer. It was last registered in 1993 and then tucked away in a garage by the original owner. Over the years it got covered in boxes and dust but cleaned up pretty good. You’ll notice in this rear view shot with the tailgate down that there is a rear facing extra seat in the back. This extra seat can fold away giving more cargo area. With the back seat also folded down this gave a total of 91.3 cu. ft. of space. Somewhat rarely, this area is in remarkable condition. It doesn’t look like much junk was hauled around in this beauty. 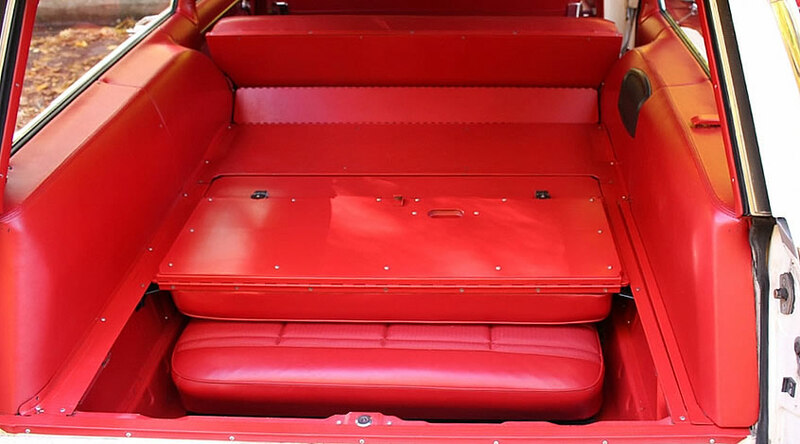 Inside there is a red vinyl interior in the sort of condition you’d expect in a vehicle that had only traveled 20,000 miles. Also fitted is the original AM/FM radio. This was a much rarer option costing $149 – the standard pushbutton AM radio was $61. Standard on both Monterey and Montclair cars was a 390 cubic inch V8 . This came with a 3-speed manual transmission. This car however, was ordered with a Multi-Drive automatic transmission costing $232 extra. This combination produced 266 horsepower. Other options include power brakes and power steering costing $106 and $43 respectively. It’s always nice to see a survivor car and none more so than a classic station wagon. 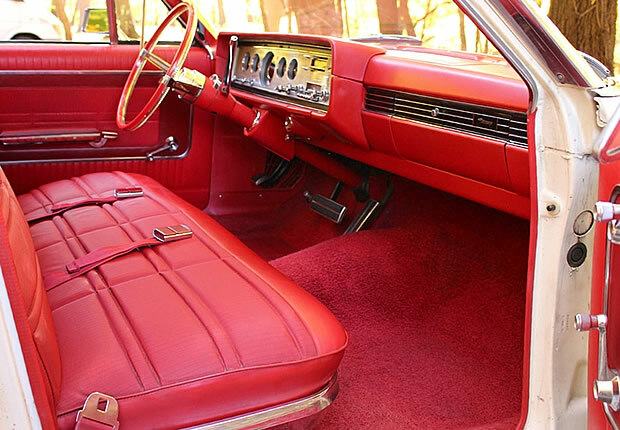 These cars tended to have a much harder life which makes the old ones so much more special.